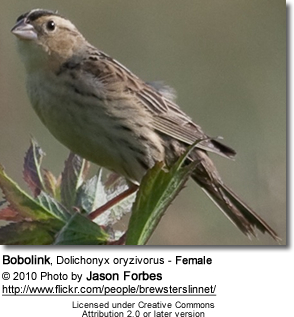 The Bobolink, Dolichonyx oryzivorus, is a small New World blackbird. 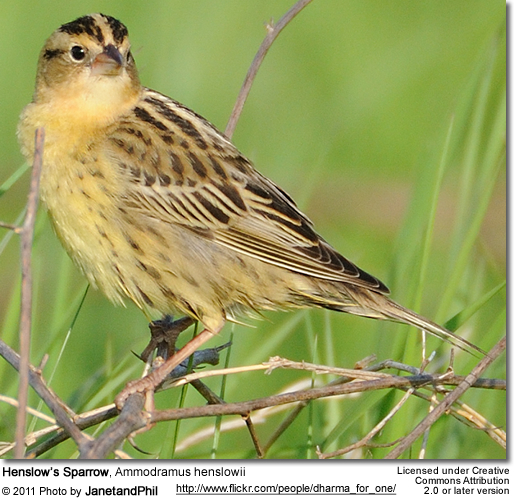 They often feed on cultivated grains and rice, which leads to them being considered a pest by farmers in some areas. 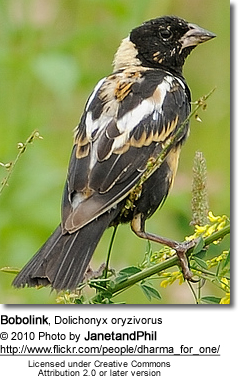 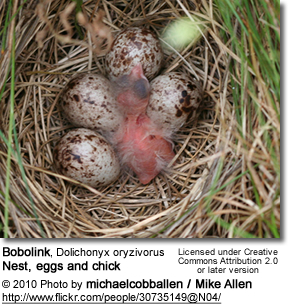 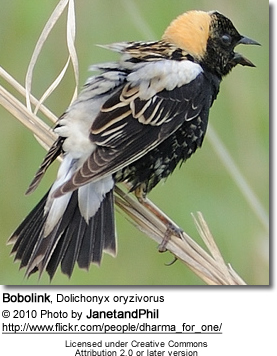 Bobolinks measure 16–18 cm (6–8 in) in length with short finch-like bills. 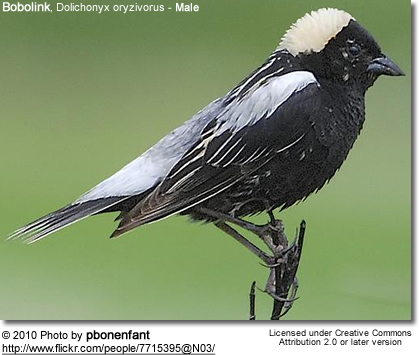 Adult males are mostly black, although they do display creamy napes, and white "shoulder feathers" (scapulars), lower backs and rumps. 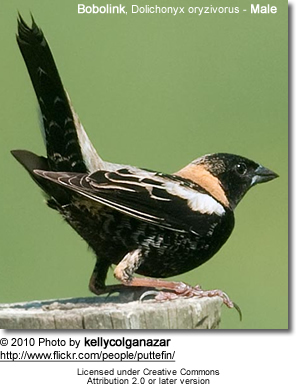 Adult females are mostly light brown, although their coloring includes black streaks on the back and flanks, and dark stripes on the head; their wings and tails are darker. 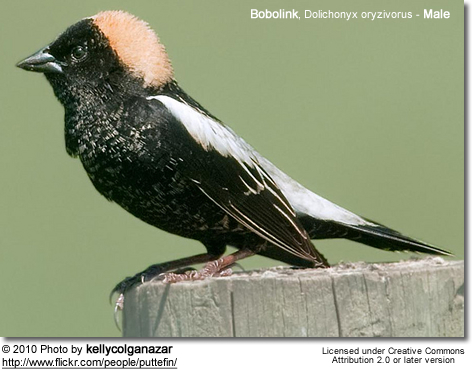 Bobolinks feed on insects and seeds, usually foraging on or near the ground. 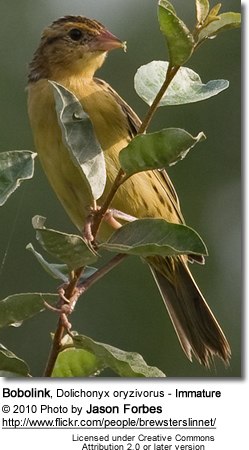 The male's song has been described as a bright bubbly song in flight.